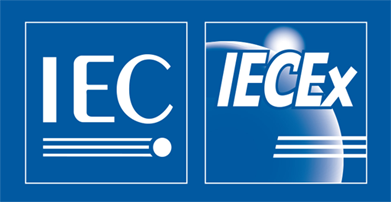 The IECEx international certification program is a response to the globalisation trends in industry. It facilitates the free flow of goods and services, while maintaining a high level of explosion safety. 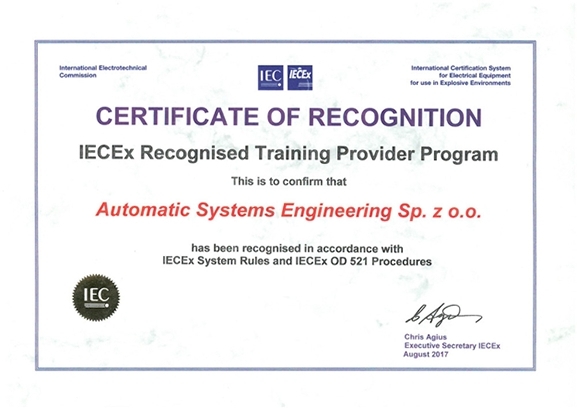 ASE Safety Academy have been reviewed by IECEx and recognised under the IECEx Recognised Training Provider Program as having implemented processes to manage and provide training services related to the selection, performing classification and maintenance of equipment operating in explosive (Ex) atmospheres. IECEx recommends the ASE Safety Academy, acknowledging it as an IECEx Recognised Training Provider. The international verification body recognised that during the training courses held at the ASE Safety Academy the participants receive the knowledge necessary to obtain the IECEx Certificate of Personnel Competence. The awarding of Recognised Training Provider (RTP) status to an organisation indicates their commitment to provide relevant training services on the basis that these have been reviewed in accordance with IECEx Operational Document OD 521. Training organisations interested in seeking IECEx RTP Status should consult IECEx Operational Document OD 521 for details.